Dr. Grant Zhang graduated from the Shanghai University of Traditional Chinese Medicine in 1984 with a Bachelor of Medicine degree. He furthered his training at this school and received his Masters degree in herbology in 1987. 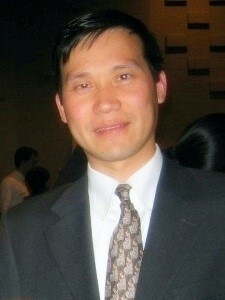 Dr. Zhang then received his Ph.D. from West Virginia University in 1994 in the field of molecular oncology. He has been a nationally board certified acupuncturist and Maryland licensed acupuncturist since 1995. Dr. Zhang has been active in many Traditional Chinese Medicine (TCM) research projects; among them studies on the effects of acupuncture on infertility and knee pain. He enjoys teaching students about TCM and has held various faculty positions at academic institutions including the Shanghai University of TCM, Johns Hopkins School of Medicine, and, currently, the University of Maryland School of Medicine. He has authored many papers that have been published in peer-reviewed professional journals. 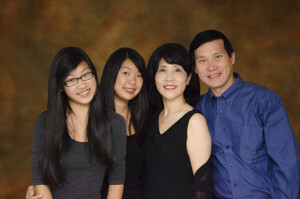 As an experienced clinician, Dr. Zhang has helped many patients with a variety of conditions. Consistent with the principles of TCM, he view each patient as a unique individual whose physical and mental well-being is equally important in determining treatment outcomes. Dr. Zhang is well known for his gentle needling technique, efficient follow-up, and compassionate interaction with patients. he enters the patient relationship as the patient’s partner while emphasizing preventive approaches to maintain optimal health. He has been particularly interested in issues related to women’s health, elderly care, and anti-aging approaches. Dr. Zhang and family; from left to right, daughters Emily, Angee and wife, Susan. Copyright © 2019 Grant Zhang Acupuncture. Powered by WordPress. Theme: Accelerate by ThemeGrill.